From Damian O'Neill and The Monotones' new L.P 'Refit Revise Reprise' out on the 4th May 2018 on Dimple Discs. Denzil Watson talks to Damian O'Neill about his debut solo album. Sample the songs on Refit Revise Reprise and download the album. Amazon link to purchase the album. Damian O'Neill & Mickey Bradley join Ash at 'The Biggest Weekend' to play Teenage Kicks. Steve Worrell's podcast interview with Damian O'Neill. 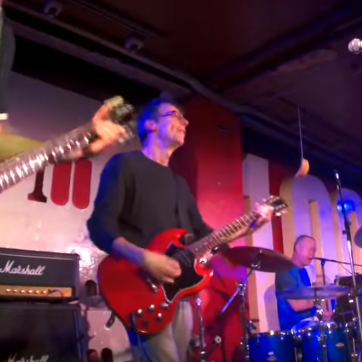 Damian plays with the Chords at the legendary 100 Club.